It was hot in Paris. 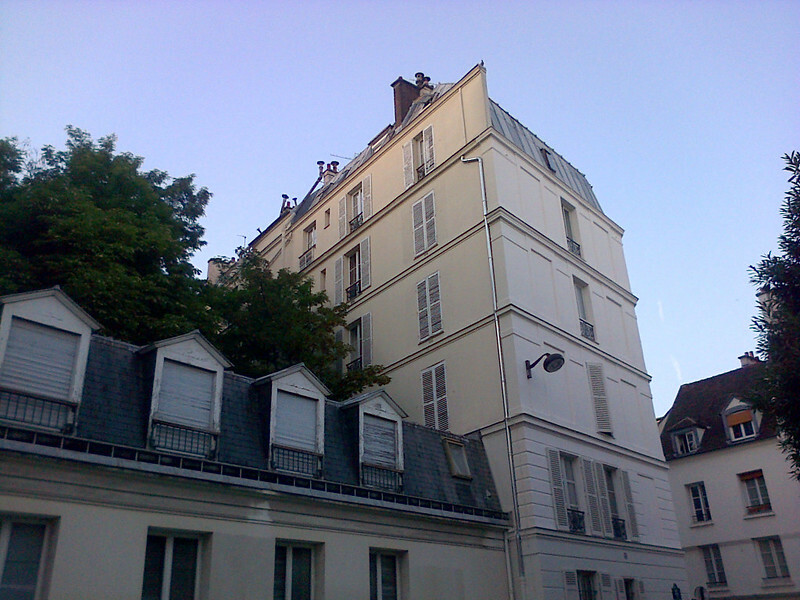 We stayed in a tiny flat near the Sorbonne. I wandered around by myself a little, but there's something about Paris that is so similar to Vienna that I'm incapable of doing any sightseeing, or really, anything productive. One evening I ended up in a little side street for half an hour. I just sat on some steps and listened to the swallows. Swallows remind me of summer; I remember lying in bed on long, warm summer days in Vienna, listening to the swish swish of the curtains, the swallows crying out to each other, the distant street sounds. It was nice. I always feel like continental European cities are made for walking around, looking at things, being at home in the streets. It's one of the things I miss most. I enjoyed this blog. It reminded me somewhat of all my travels before I had children. I am still in my cat's blog so that's what you see in the signature. I just went exploring the next blog feature in Blogger.